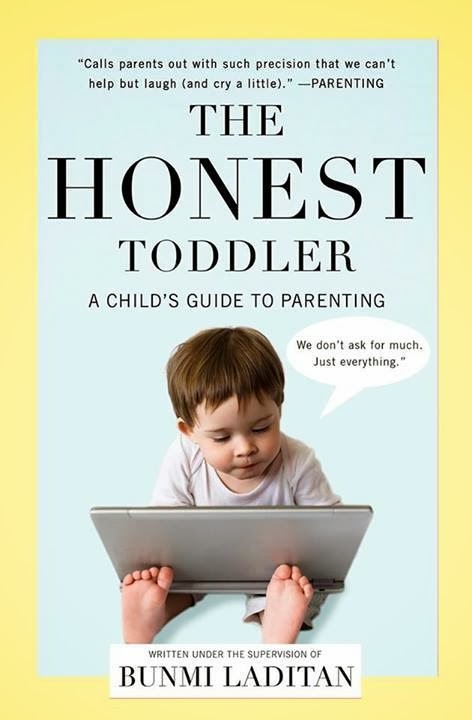 Good news for those of you failing your small children: The Honest Toddler: A Child's Guide to Parenting comes out in PAPERBACK on May 5, 2014. Why is this good news? Paperbacks are generally easier to tear apart with your hands. Let's say you just learned your letters and want to read this book over several days. Rip the book into manageable sections and just take what you need on the go. Bonus material: Many of you have emailed me with questions about your toddlers' normal behavior. If you'd like to see your questions and my unbiased answers published in the paperback, comment underneath this post with your pressing queries. The ones chosen will be published as bonus material. Only first names will be used to protect the innocent ( your toddler is the innocent. you are as guilty as they get). This is your chance to be famous and for the whole world to see how much you're struggling. Giving Back: For every book that is sold I will pretend to take one bite and then let the food fall out of my mouth.